Riceworks crisps have this flavor that I love. It's a nutty, toasted flavor, almost like the crunchy little kernels of popcorn that don't get popped all the way - you know the ones left it the bottom of the bag. That is the actual taste of the chip . There are 5 yummy flavors to choose from. Sweet Chili : My favorite. The perfect blend of sweet & spicy. Sea Salt : Lightly salted, perfect chip for dips & salsas. Salsa Fresca: Like your favorite nacho chip only way more flavorful! Tangy BBQ : Sweet & Smoky, added to the chip flavor & it's perfect BBQ! 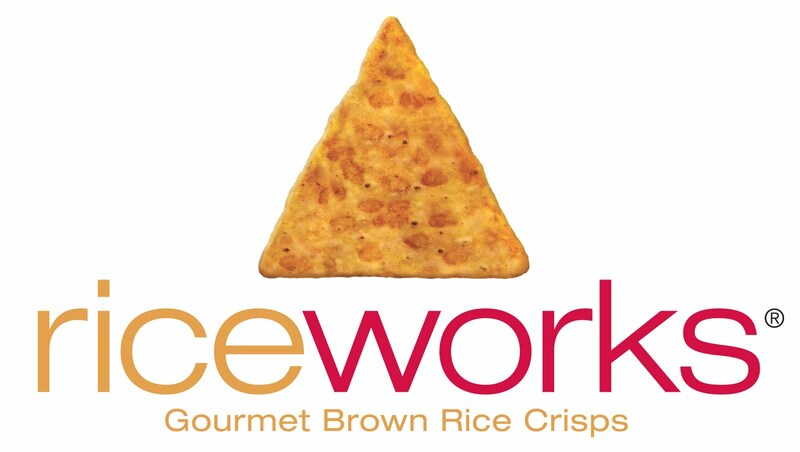 Riceworks are made of all natural ingredients, no preservatives, no artificial flavors, wheat & gluten free, low in saturated fat, contain 7 grams of whole grain per serving, source of fiber, no trans fat, 33% less fat than potato chips, no cholesterol, vegan & celiac friendly, & Kosher certified. One lucky winner will receive 5 coupons for a free bag of Riceworks crisps!!! And, double your chances & take a shot at winning 5 bags over @ Eighty MPH Mom! 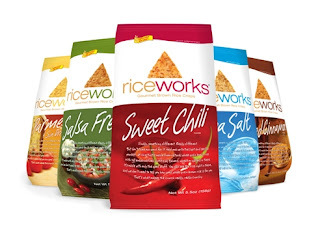 *Follow me @jamaise at Twitter & Tweet this : RT @jamaise #GIVEAWAY #WIN riceworks ~ Gourmet Brown Rice Crisps ~ Win 5 Bags ~Ends 9/28 tweet each day for one entry each ! I would like to try the Salsa Fresca flavor but all of them sound good. I follow through Google Friend Connect. I'd love to try the Sweet Chili. I entered the MI-DEL giveaway. I follow via gfc. I can't wait to try the sea salt flavor! I can't wait to try the Tangy BBQ flavor. I follow your blog publicly via Google Friend Connect as shala_darkstone. I like riceworks on Facebook (FB name: Maddie Brubaker). I follow @riceworks® Crisps on Twitter (@shala_darkstone). I'm really thinking of my hubby--I think he'll enjoy the Tangy BBQ. I'd like to try the Tangy BBQ. I follow via gfc. I already love this brand but they have two new flavors that I have yet to try! I want to try the sweet chili and Parmesan! I entered the "Sam´s Club Pink Promotion ~ $25 Gift Card ~ GIVEAWAY!!! ~ Ends 10/01"! tangy bbq and salsa fresca both look good!